Organ Donation should not delay funeral plans, as organs need to be removed as soon as possible after brain death to ensure a successful transplantation. Support systems are maintained until organs have been removed. Death of the organ donor is defined by the time of certification of brain death, not by withdrawal of support. Brain death must be certified by two independent doctors before organs/tissue can be removed. According to the National Health Act, 2003 organs/tissue cannot be removed unless the family gives permission. The Organ Donor Foundation is a non-profit charity, which aims to address the critical shortage of organ and tissue donors in South Africa. Please support organ donation. Let’s ensure that South Africa remains a centre of excellence for organ and tissue transplantation. For more information on organ donation, including emergency numbers, etc, visit the Organ Donor Foundation website. 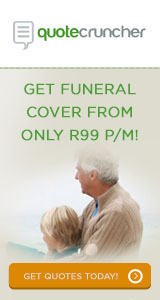 Alternatively call the Organ Donor Foundation Toll Free on 0800 22 66 11. Transplants save lives. Donating your body to science contributes towards the training of tomorrow’s health care professionals and surgeons. Various universities around the country need whole bodies for medical studies. There is an urgent need for bodies and they are only able accept bodies in certain condition, so please check out the following links to find out what the conditions of body donation are, and where you can donate your body to the improvement of medicine and surgery in South Africa. The National Tissue Bank, is affiliated to the University of Pretoria and is a division within the Faculty of Health Sciences. Contact The National Tissue Bank with regard to tissue donation.